The cable you need for distributing the great sound of the Dance Combo to a bigger audience. 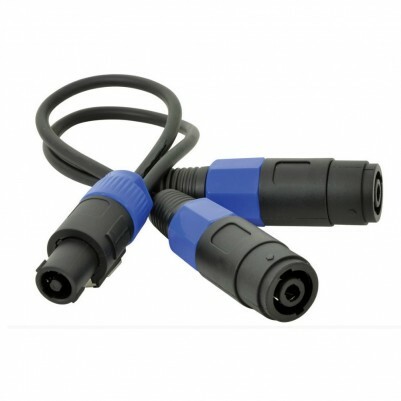 Plug one end into the speaker socket of the Dance Combo and connect the 2 other ends to 2 speaker cables. An essential part of our Sports Day Package.